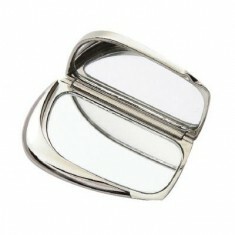 Look good wherever you are with our personalised Vanity Mirrors! 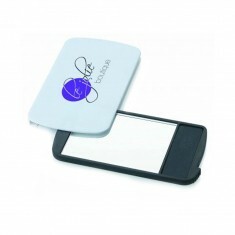 Our custom engraved vanity mirrors are an ideal give away and a sure way to get your company name out there. 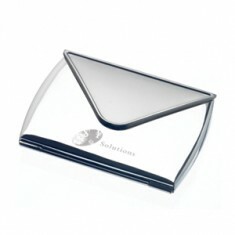 Whether you’re running late or just touching up your lipstick before that important meeting our promotional mirrors are a handbag essential. 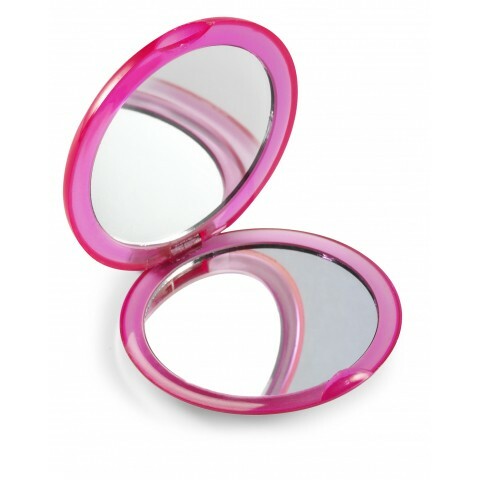 Our customised vanity mirrors make outstanding presents and giveaways that are sure to last the test of time to help make sure you customer can check their hair is in place before the big meeting or just check you haven’t forgot to wipe away any toothpaste stains from this morning. 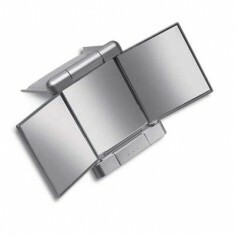 Our carefully selected range of branded vanity mirrors contains every style ranging from budget plastic options all the way to premium metal editions. Lightweight and compact, our branded Double Mirror opens up to reveal a mirror to either side so you can see yourself from all angles. 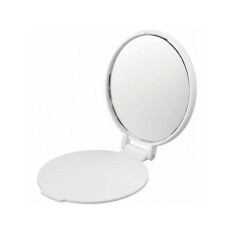 Great size branding area and outstanding value for money, this mirror is a great handout for helping to keep your lipstick touched up or make sure your hair hasn’t fallen out of place. In search of a more premium option? Our personalised Round Vanity Mirror is made with a shiny silver finish and is branded via laser engraving for a premium finish. 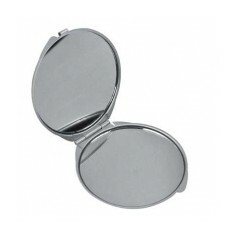 Supplied individually gift boxed, this vanity mirror makes a great personalised present. Pop your favourite into the basket to get a quote today. Compact design. 4 colour choices available. Outstanding value for money. 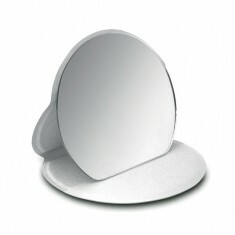 Always be prepared for last minute touch-ups with our Make Up Mirror! 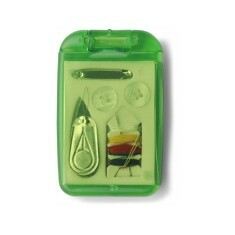 Availabl..
Take care of snags, snares and rips with our 5 Piece Sewing Set and Mirror. A ..
Make sure you are always looking spot on with our custom printed Button Mirror..
Keep your nails beautiful with our printed Mirror with Nail File. This handy i..
Matt finish to outer. Standard & enlarged mirror inside. Branded to the top. 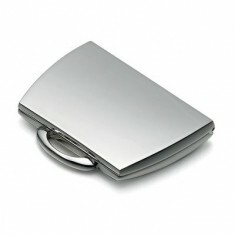 Triple mirror in automatic folding case with stand. Gift boxed. Matt and shiny plating with 1 standard and one magnifying mirror. 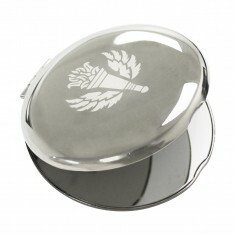 Make Lipstick on your the teeth a thing of the past with our custom engraved H..
Our custom printed Polished Compact Mirror is a stylish double compact mirror ..
Silver finish. One standard & one magnifying mirror. Individually boxed. Padded PU casing. Large mirror size. Customised to the outer side as standard. Pantone Matched silicone. 2 inner mirrors. Individually poly-bagged.